In 2017, Hiroshima survivor and nuclear disarmament advocate, Setsuko Thurlow, received the Nobel Peace Prize on behalf of the International Campaign to Abolish Nuclear Weapons (ICAN). 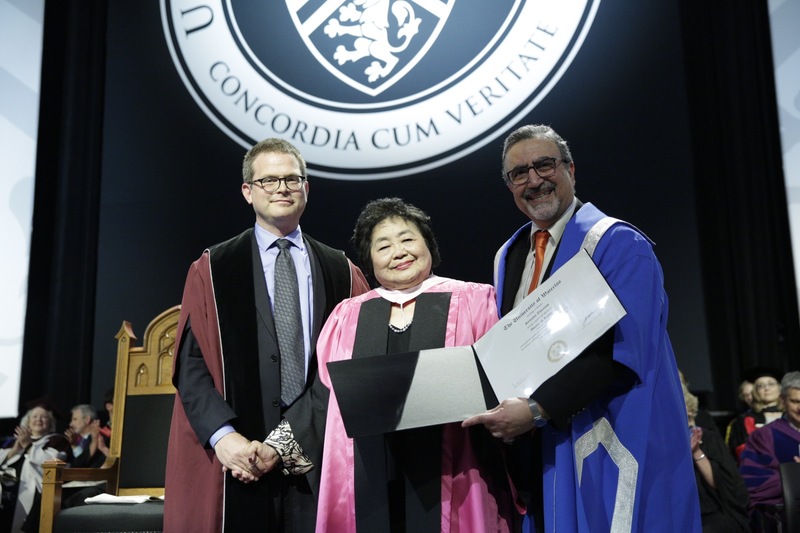 Yesterday afternoon, Thurlow received an honorary doctor of laws degree from the University of Waterloo. Thurlow addressed an auditorium of Faculty of Arts graduates and their families, sharing her story and encouraging students to join ICAN’s cause, or to seek out a cause of their own.